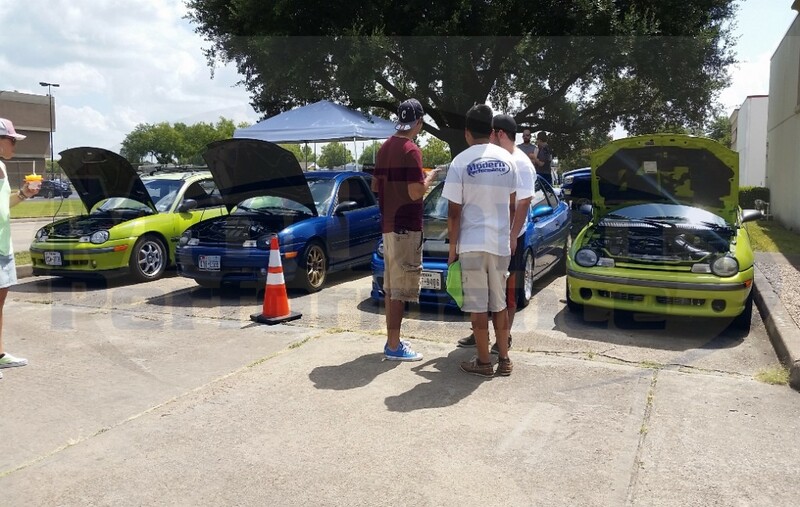 Pics from the MP meet on 7/25/2015! 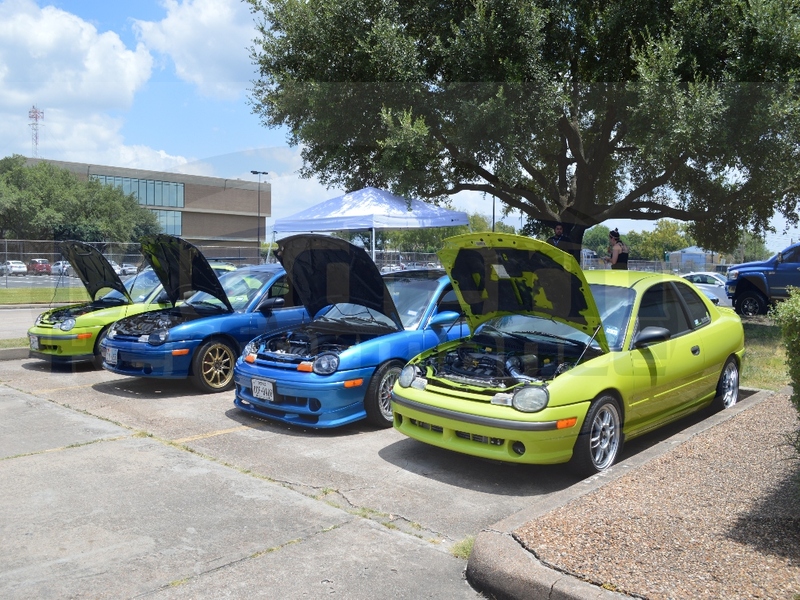 Good mix of first gen Neons that showed up! 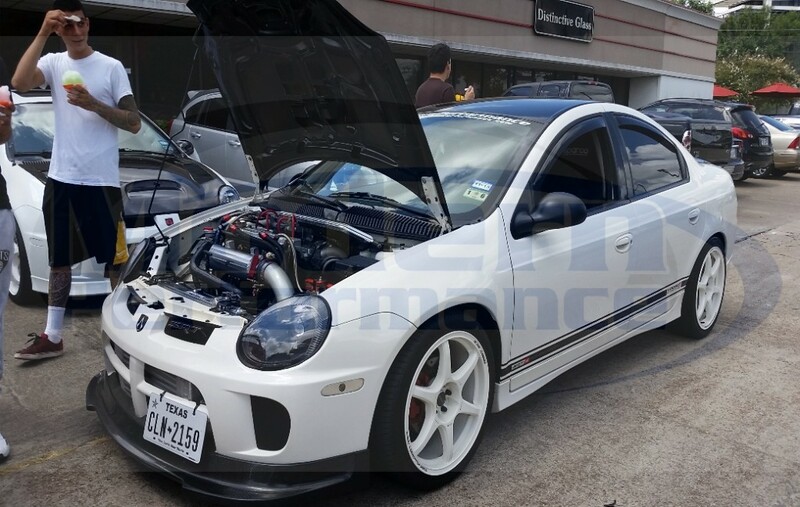 This is Eric Davis’s old car. 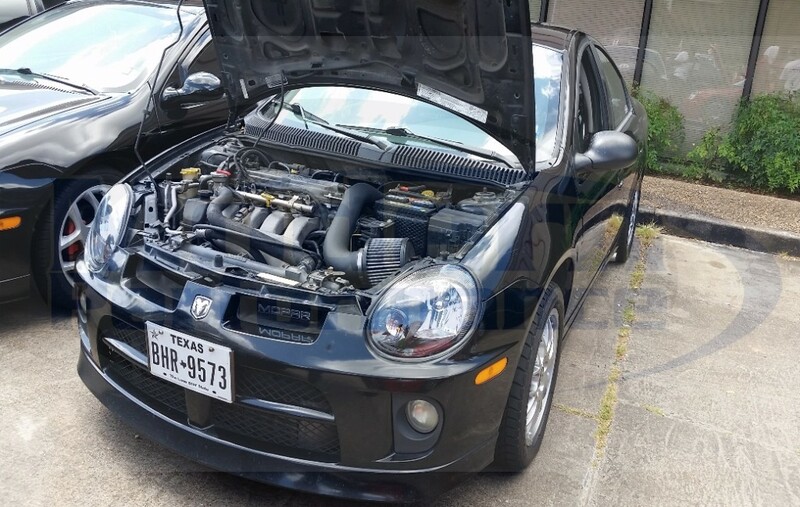 The new owner has put a bigger turbo on it, removed AC, and removed power steering. 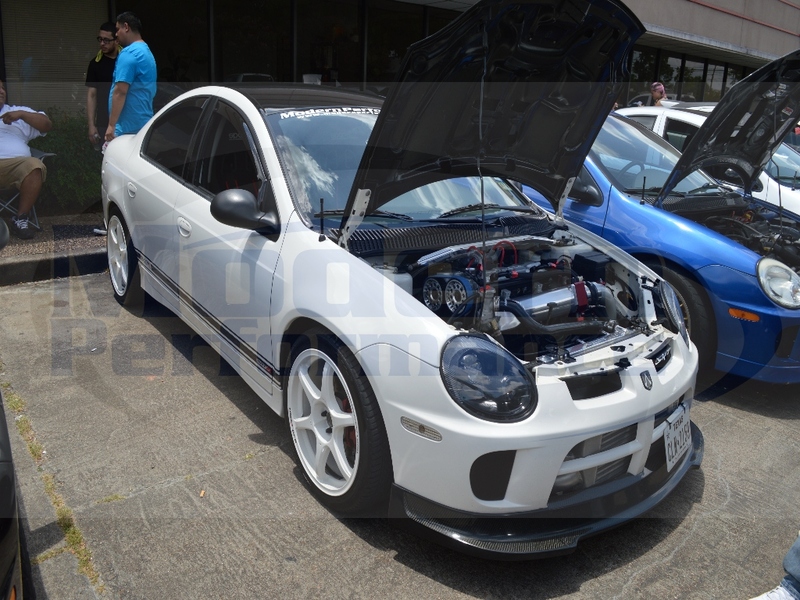 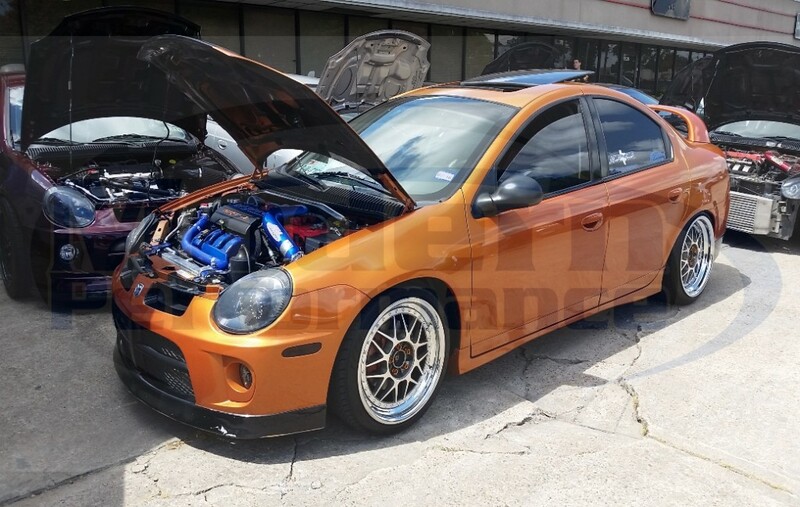 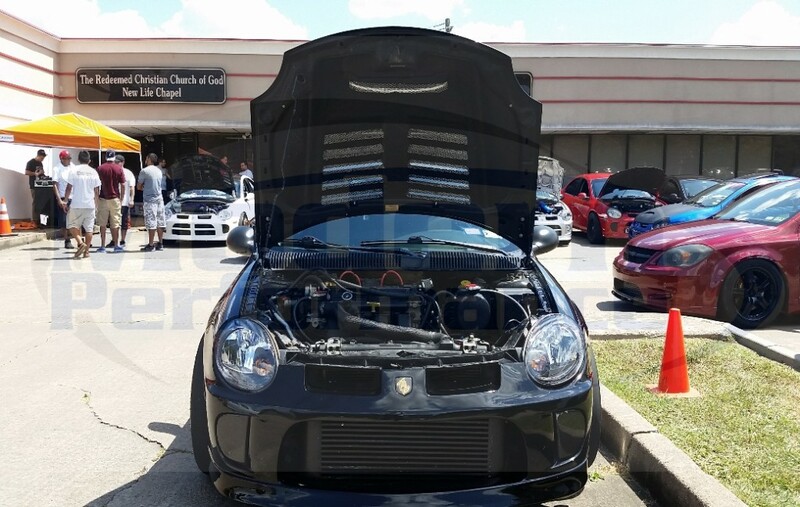 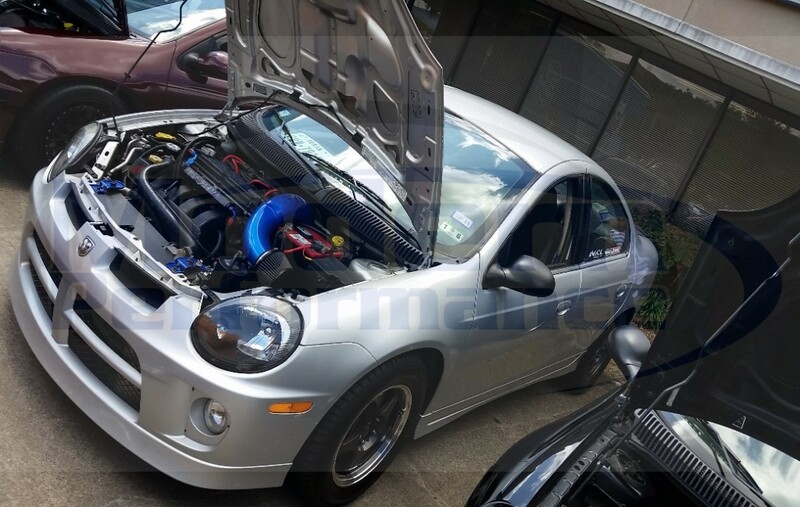 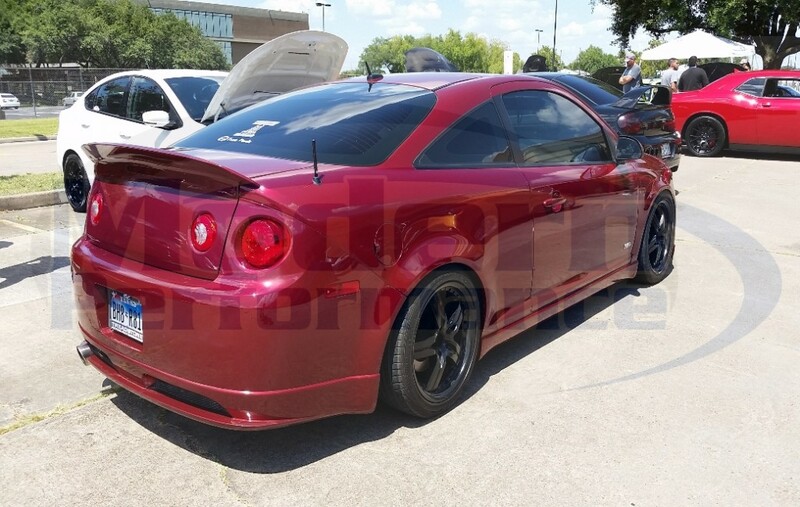 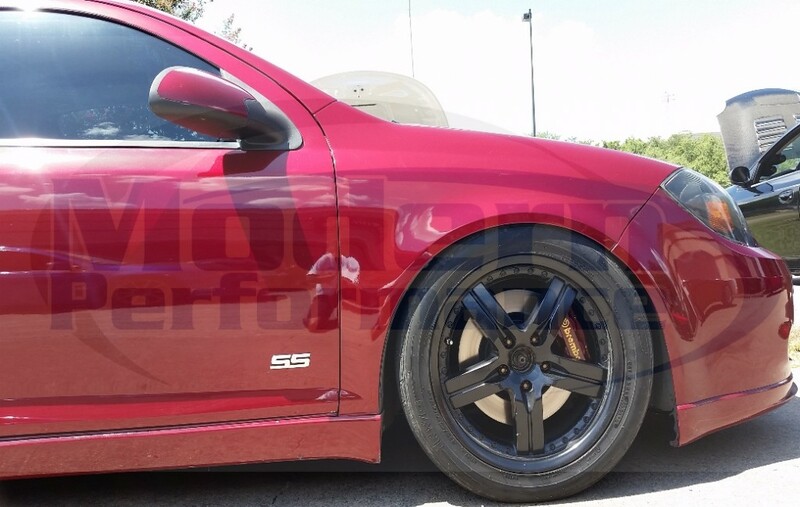 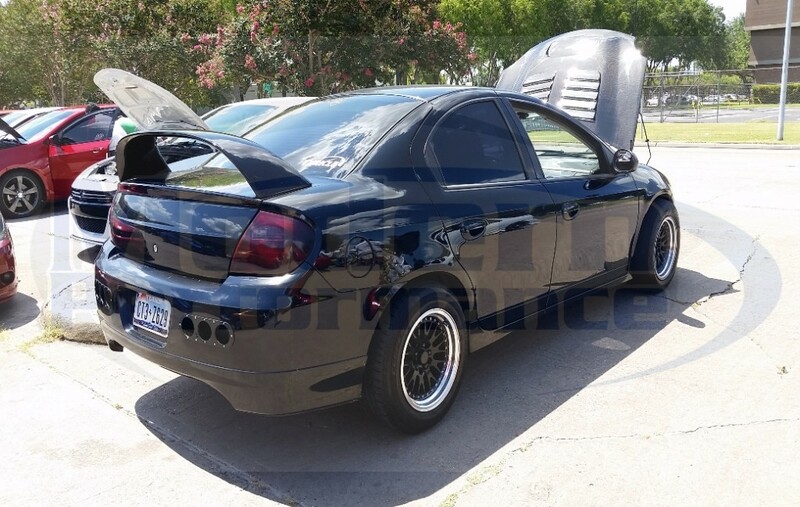 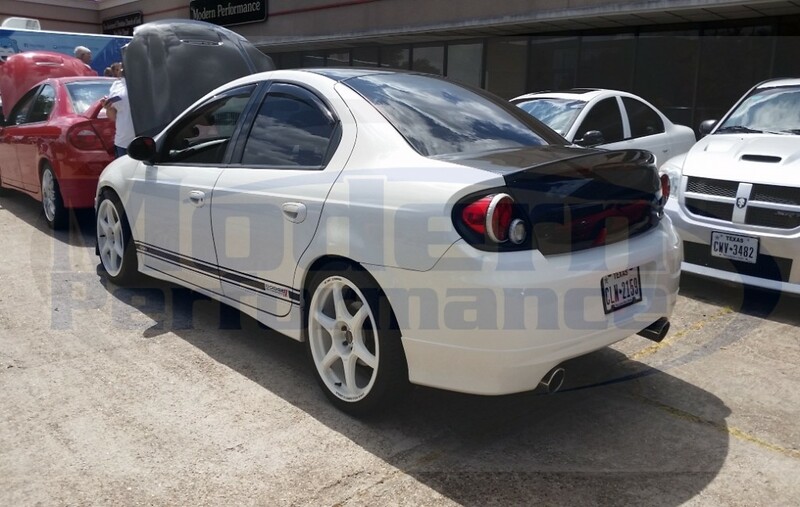 This Cobalt SS Turbo owner claimed he had 600 hp. 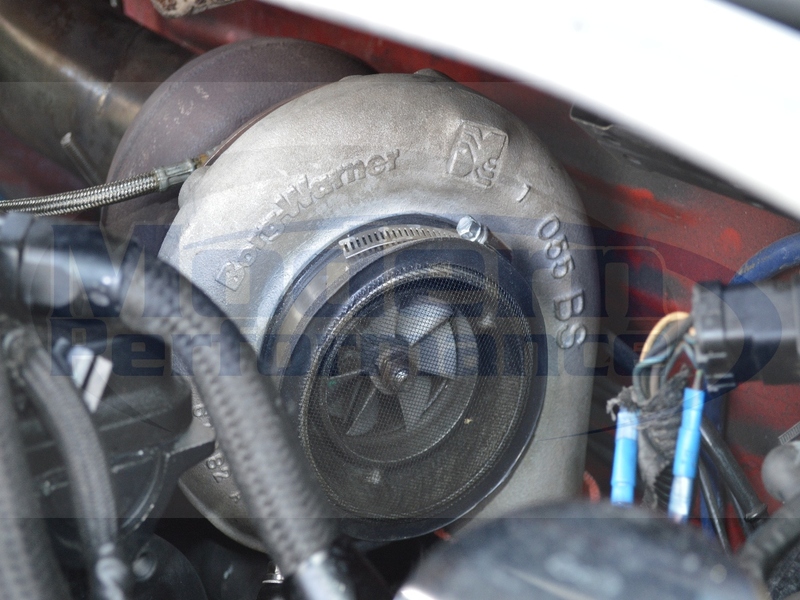 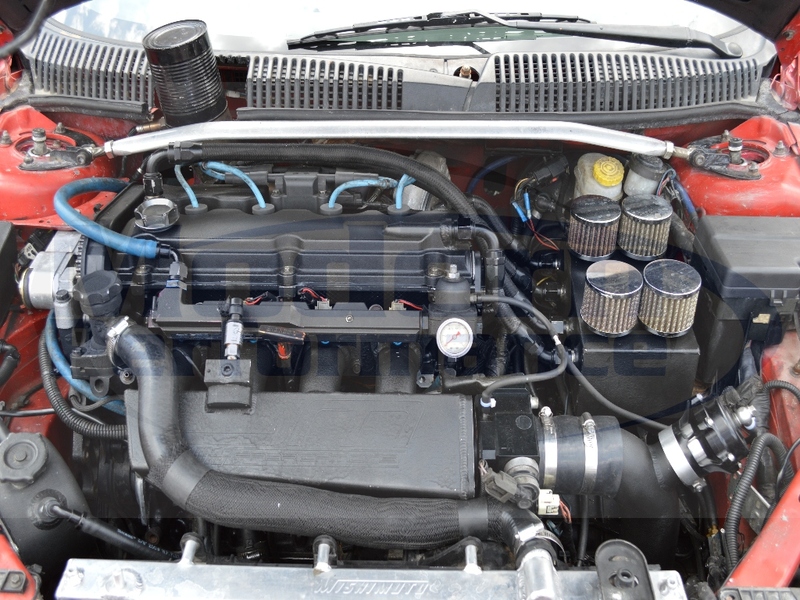 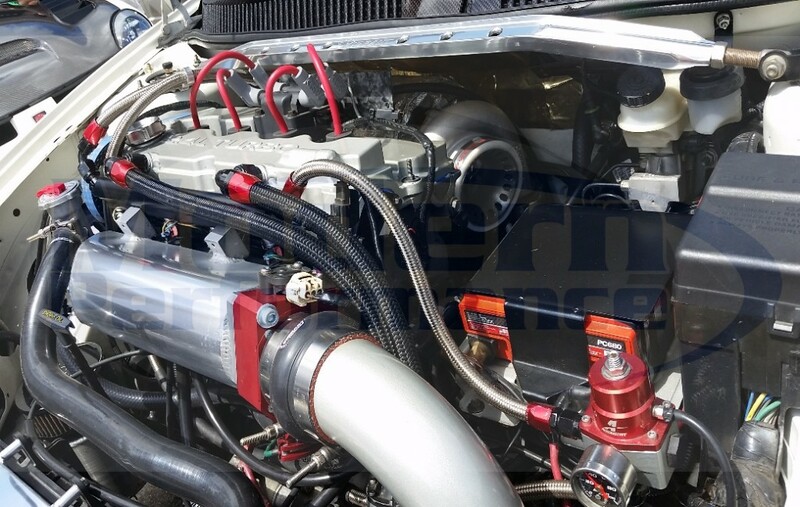 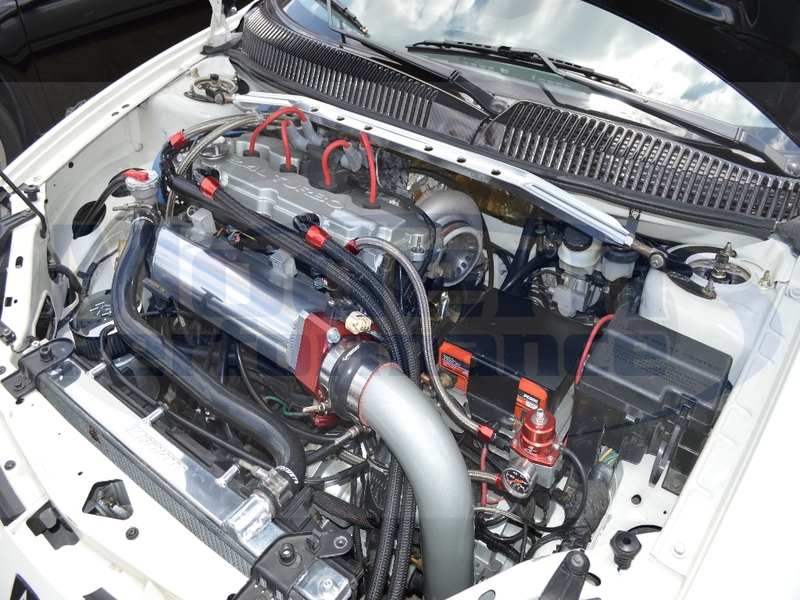 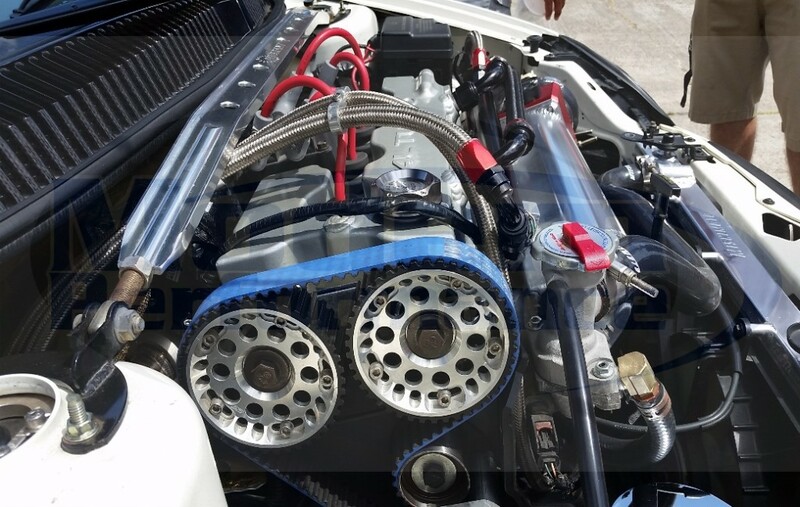 Sadly we dont have engine bay pics to show how big the turbo was. 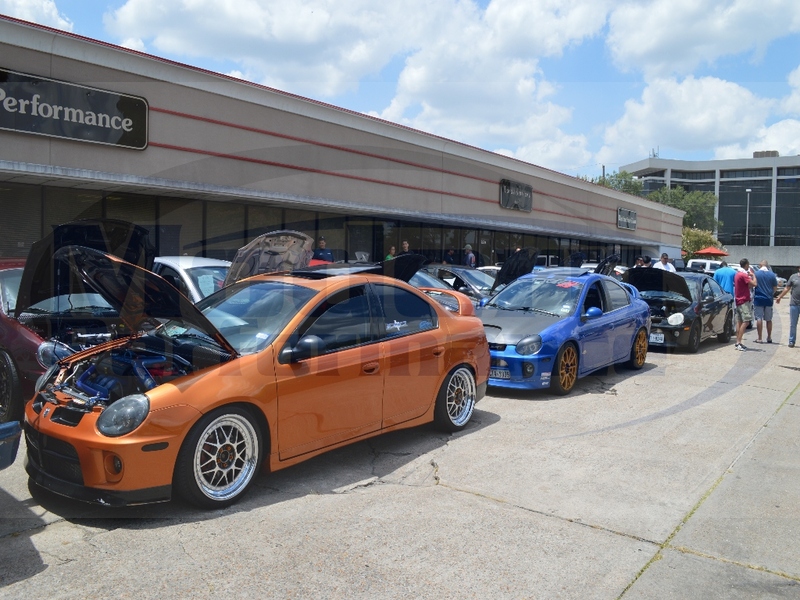 We had a good mix of Darts show up. 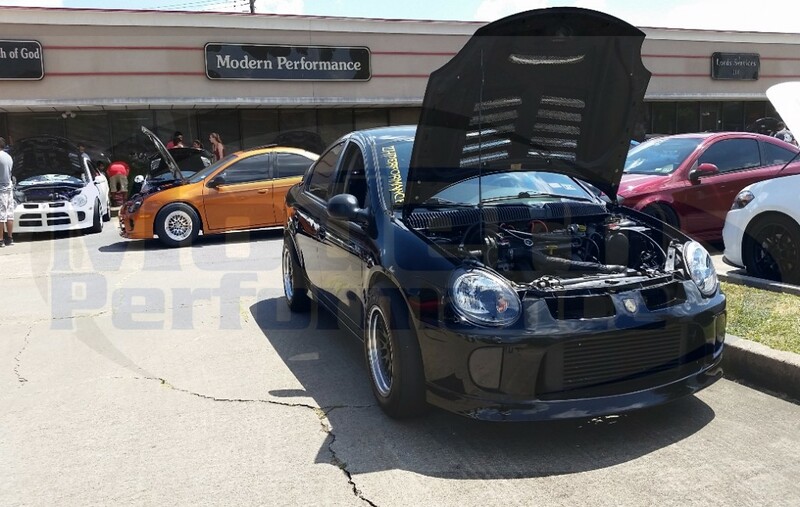 About 5 total, 1.4’s, a 2.0 and two 2.4’s. 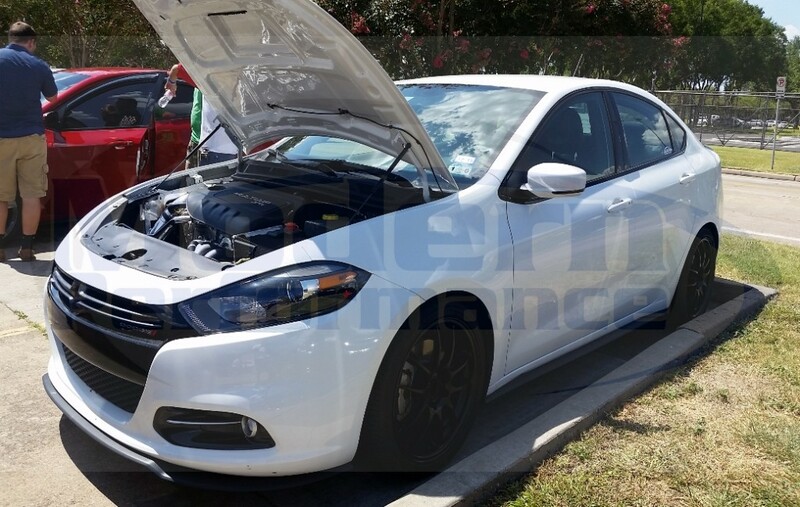 Steven Anderson showed up with his Hellcat. 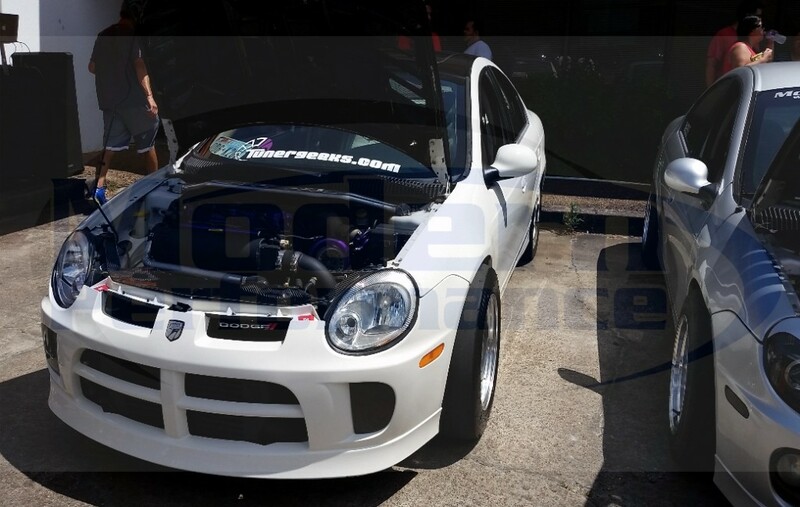 More pics of Eric Davis’s old car. 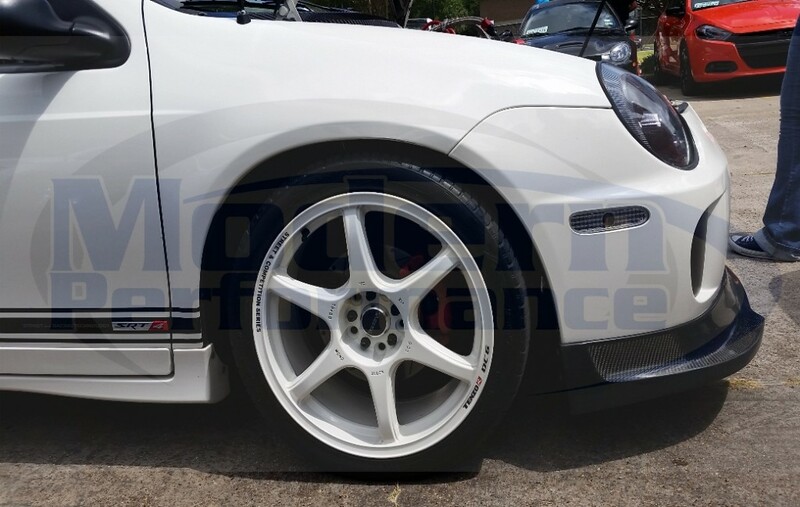 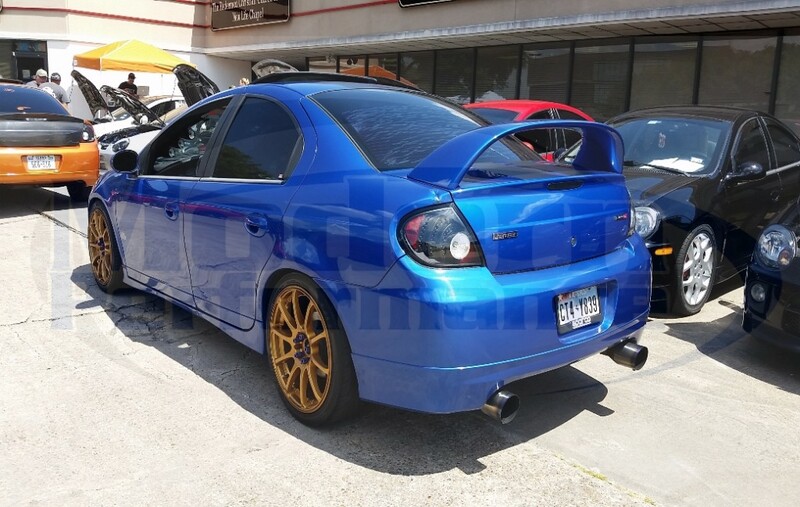 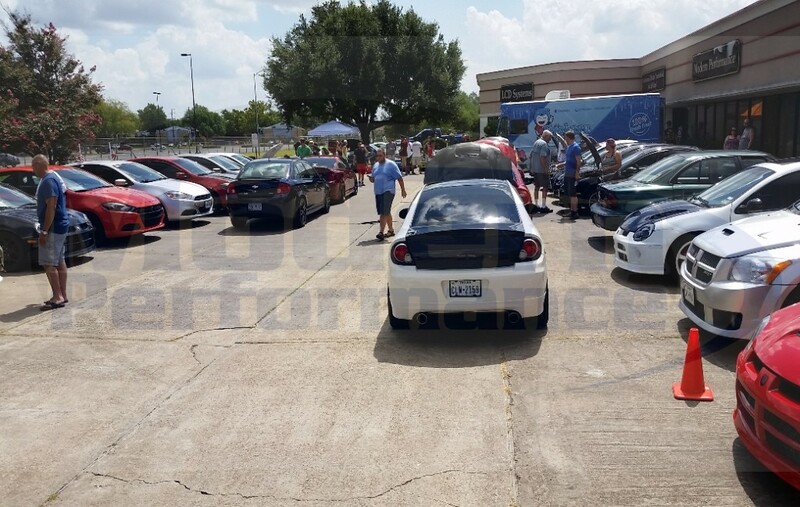 We’ll be posting more pics in part 2 of MP meet 7/25/2015 blog post. 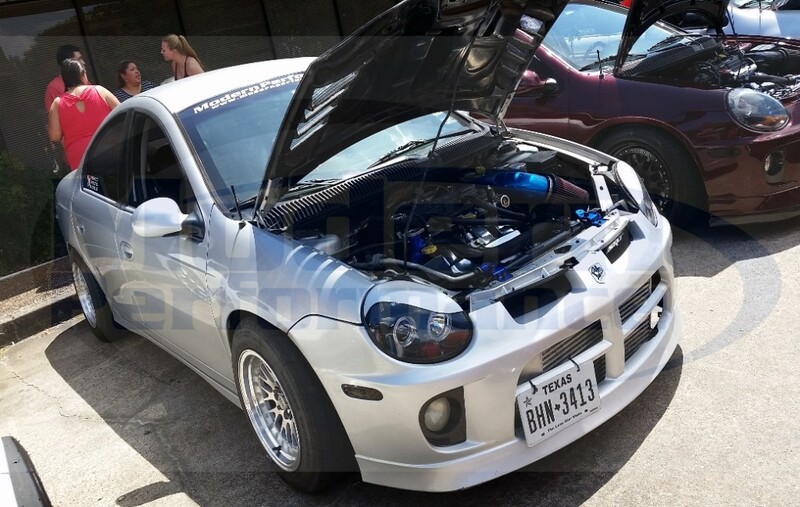 MP meet coming up! 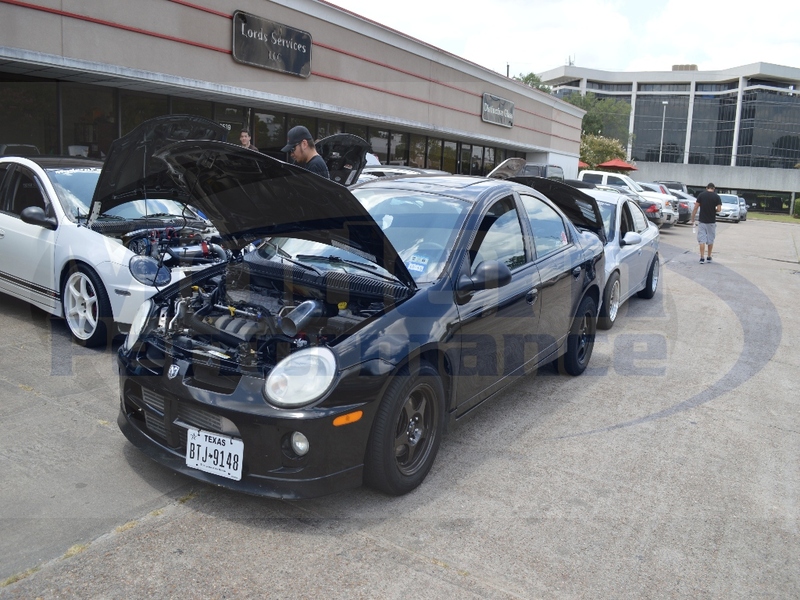 11/10/2012 – Split day, 10-2pm at MP, 2pm+ at FWD Performance for Dyno day. 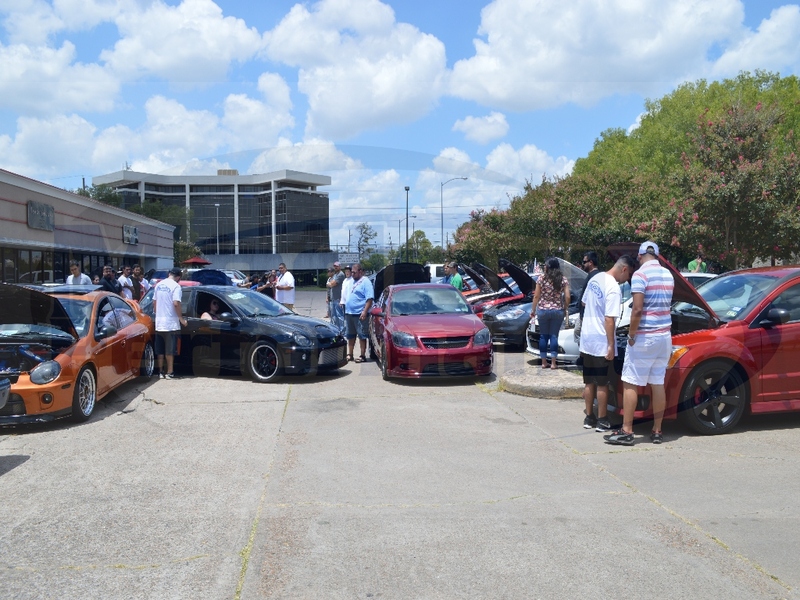 Next MP meet – 7/25/2015 in Houston, TX! 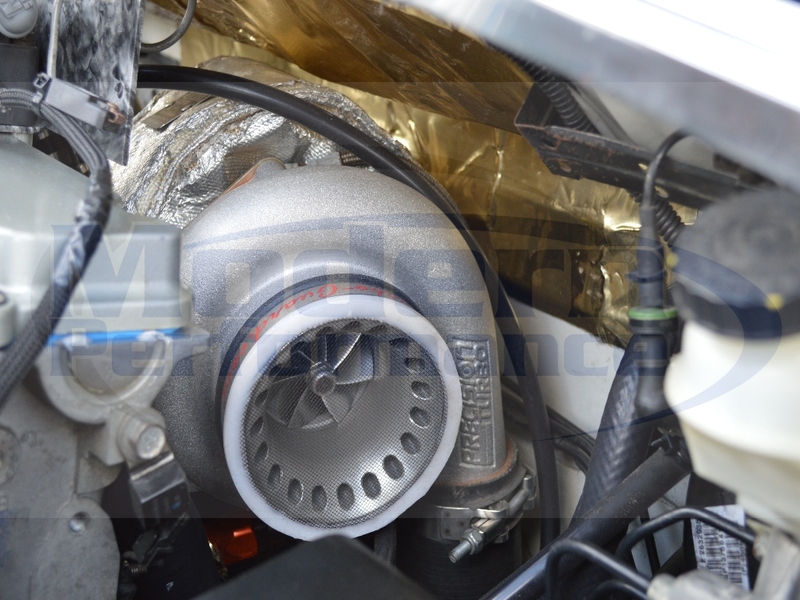 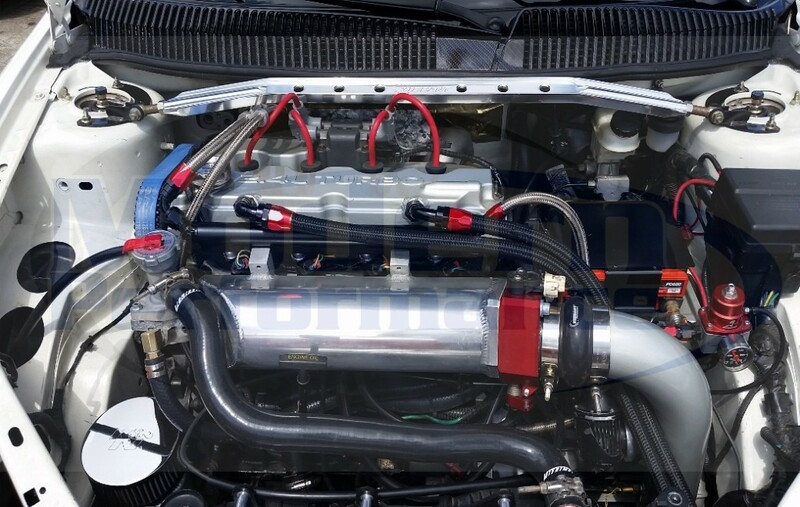 Buy an AEM air intake in July 2015, get $25 back! 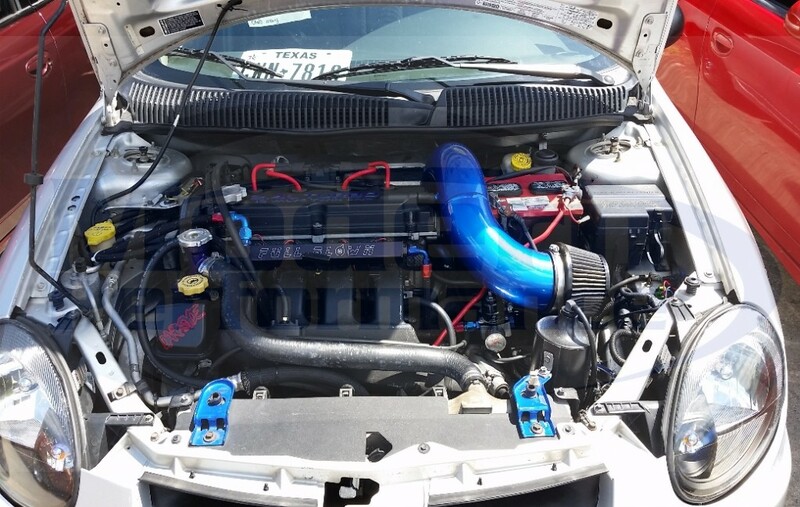 Buy a K&N Air intake in August 2015, get $25 back!